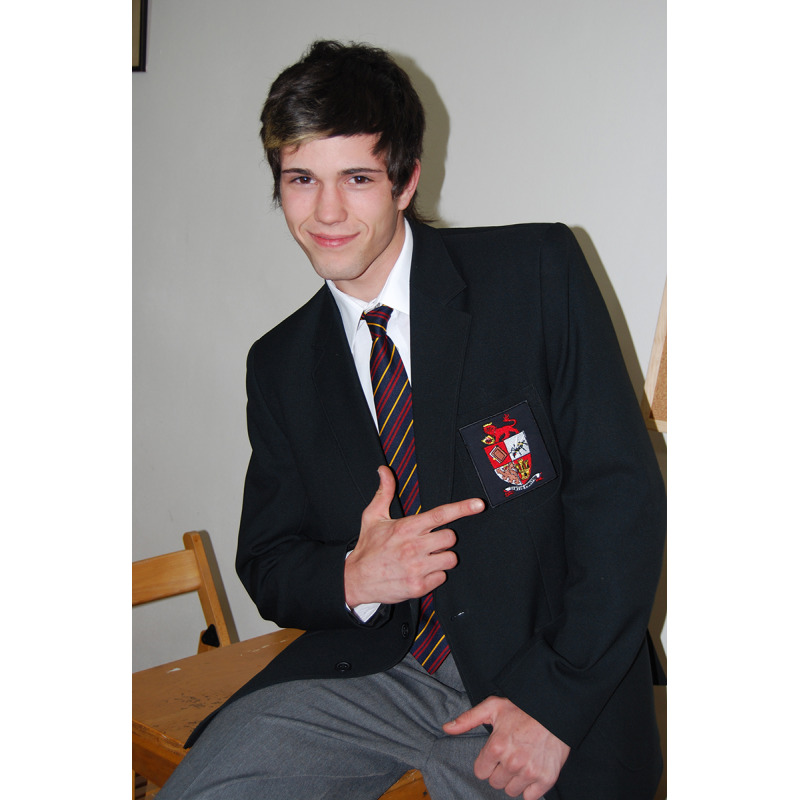 This heraldic school badge replica is richly coloured and highly authentic capturing all the elements of an historical college crest. It also carries the sting wasp incorporated in to the shield. The motto Sentio Punctum, feel the sting, is of course completely appropriate. 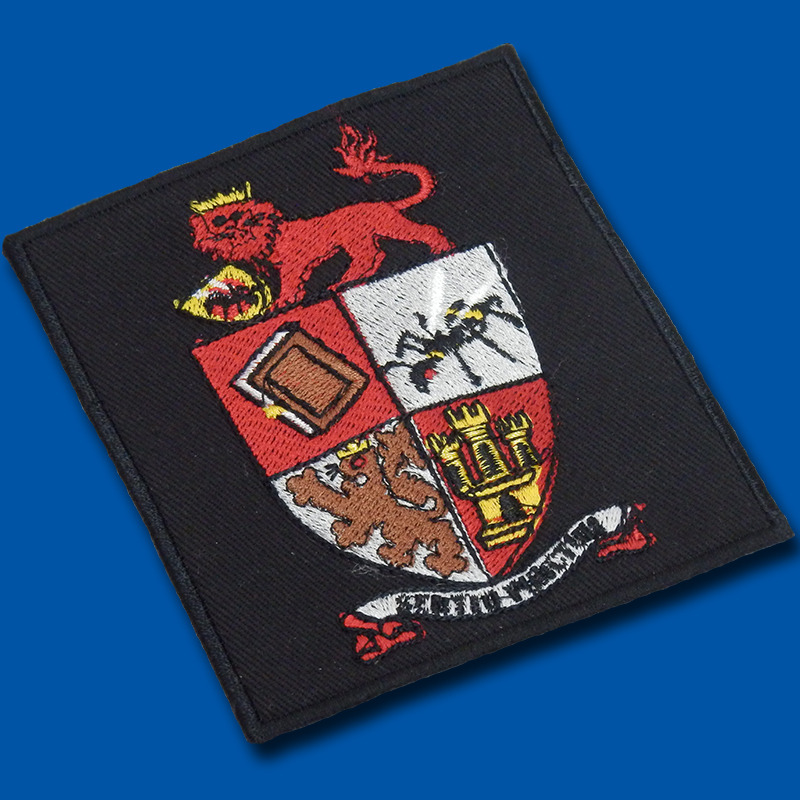 This is a properly woven not printed badge and only a small number were commissioned. We intend to replace it in future with a new design so this really is a limited edition. 10 × 9 cm.